The LockCircle billet aluminum camera body cap replaces the plastic body cap that comes with your DSLR. The LockCircle folks say that it locks in place with a Swiss watch feel. 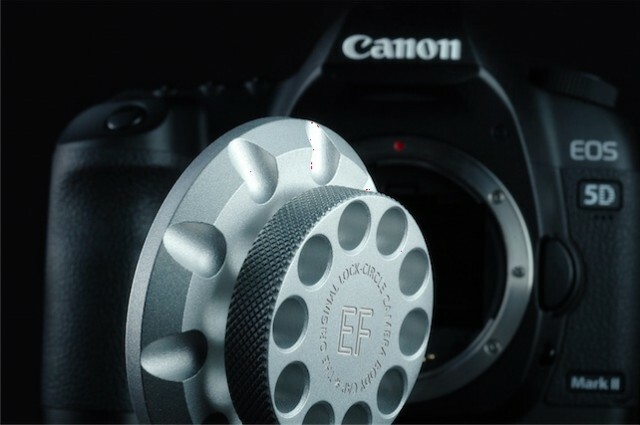 These camera body caps are available in silver, titanium or black finishes and cost $99 each. 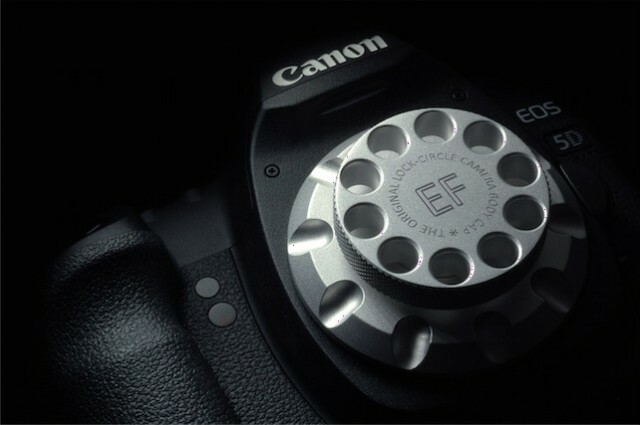 They are available in Canon EF-mount and Nikon F-mount flavors. Frankly, I don’t see the utility of this device; however, I’m open to your thoughts on why a camera body cap should cost $99. I’d expect it to be no more than $30. Too cool a device for an area of photography that doesn’t need a cool device. For that price and with the word Lock in the name, I was expecting some kind of anti-theft lock in case the camera body was stolen. There’s certainly people out there with more money than brains who’ll buy them, but no one else. Here is another find example of making something that separates you from your money. From what I see the cap really has no real use at that price. If it actually did something like lock or help keep posture from collecting inside the camera than it might be worth $50.00. Next time find something useful to test this was a waste of space. as a designer, photographer, and hobby machinist, I just love this. It is nice to be surrounded by gadgets that are beautifully made. Functionally it could be slimmer so to pack better, it could have a small compartment for a descant, lake a silica gel to absorb moisture, and as mentioned a lock would be great so you could “chain it to a pole” or into your case. Manufacturer could do a more interesting job making rings coupling lenses from brand a, b, c, … n, to body type a,b,c, … n , with all necessary electric contacts for full automatic operation . Who sold lenses in the past coupled with special rings corresponding to body brand ? Change body, keep lenses, change rings . Who was that ? Tamron maybe ?